The beat goes on for the old Boyd Theater, a classic Art Deco gem that's sat vacant on the 1900 block of Chestnut Street for over a dozen years. 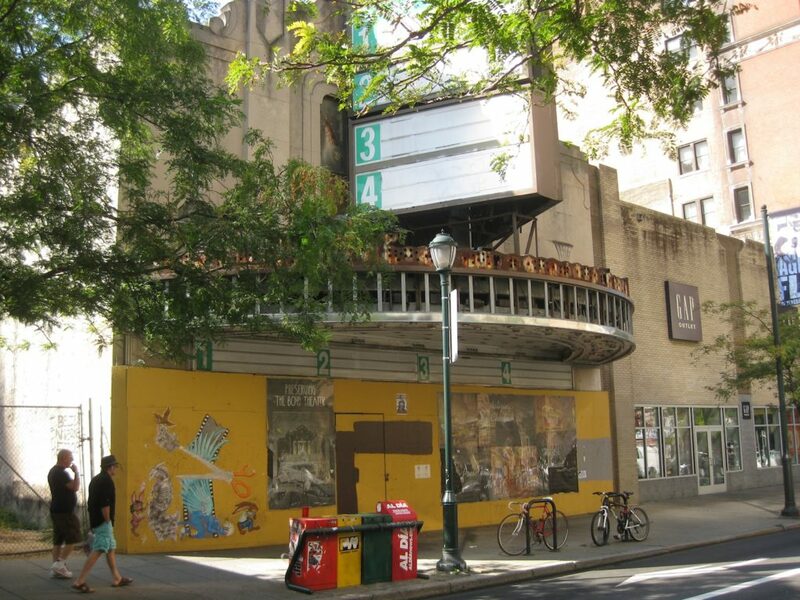 Last spring, the Historical Commission told developers they could demolish the inside of the historic building and replace it with an iPic, an eight-screen boutique movie theater. But like several others before it, that plan seems to have fallen apart. According to Inga Saffron, Pearl Properties bought the old theater last fall and iPic is likely out of the picture. Today, the building looks more or less like it has for many years. Pearl's purchase of the property offers some definitively good news, and may result in a dramatic transformation to the block. The previous plan included the demolition of pretty much the entire Boyd building with the exception of the facade and a vestibule. More recent demolition plans still call for the elimination of the 2,400 seat theater, but would preserve the grand lobby and a rear portion of the main auditorium, according to the Preservation Alliance. 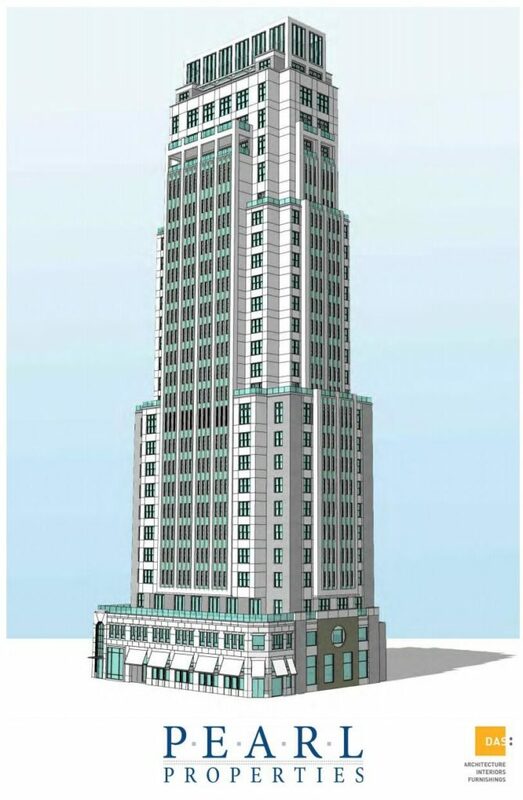 Plan Philly has a quote from Howard Haas that confirms the importance of the lobby that's now being saved. As for the transformation of the block, we look back to a project at the corner of 19th & Chestnut that we most recently considered a little less than a year ago. 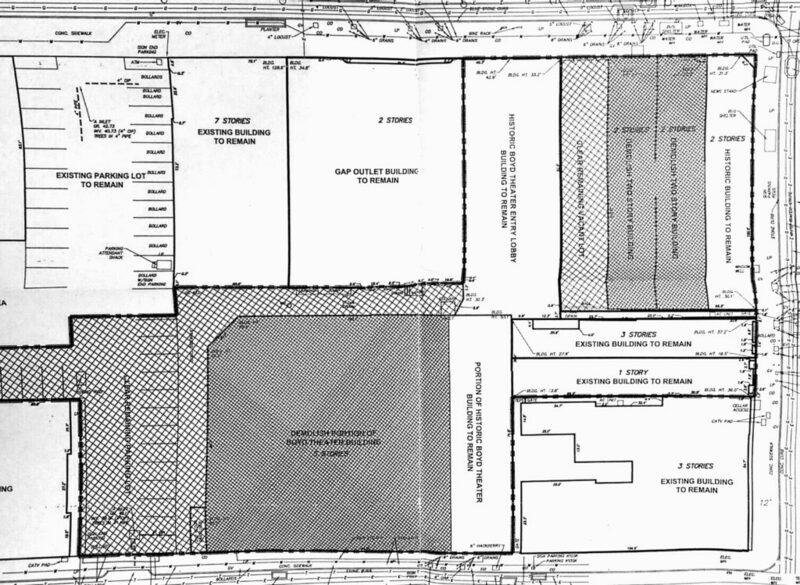 Remember, Pearl Properties wants to build a twenty-something story mixed-use building at the corner, reusing the existing corner property and replacing a couple of others next door. With their purchase of the Boyd property, we can imagine a scenario in which the building pictured above would stretch westward, subsuming the old theater and including additional apartments and amenities. If, in that process, the developers could find some way to maintain the Boyd's auditorium that would be amazing, but we recognize that this is probably a long shot at this point. That is certainly a shame, but at this moment we can at least appreciate that it seems likely that more of the theater will be preserved than previously thought. We'd imagine, in the coming months, we'll get some more specifics on what's coming to this block and exactly how much of the Boyd will be left when all is said and done.